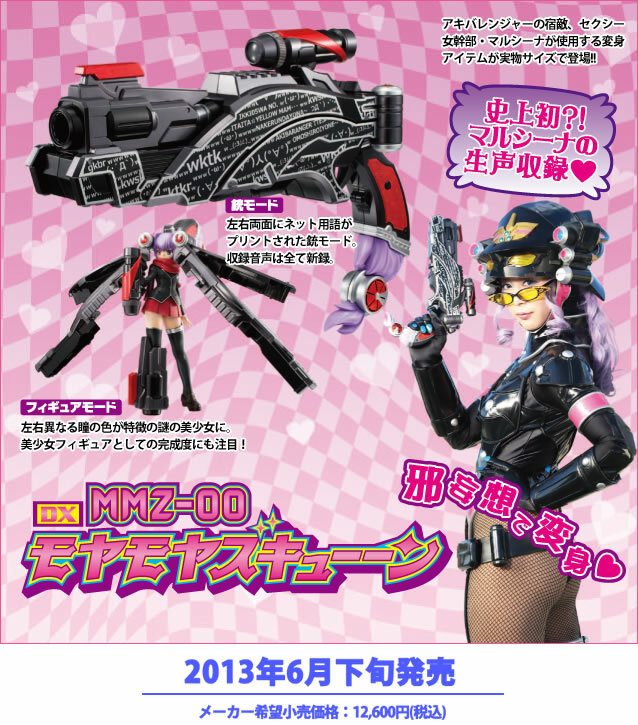 It was posted recently on Tamashii Nation's website a video of Malshina (played by Honoka) promoting the upcoming release of the DX MMZ-00 . The toy is a replica of Malshina's transformation device, a skew from the original DX Moe Moe Z-Cune. Check out the video after the jump. 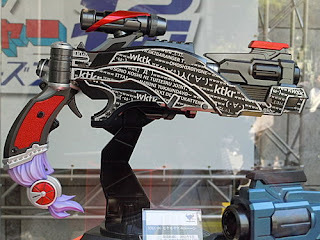 First seen during the event for the launch of Hikonin Sentai Akibaranger Season 2, the price of the DX MMZ-00 is 12,600 yen and set to release this June.